What are Haitian Christians to say about the PetroCaribe Money? Here is of the strangest PetroCaribe Challenge protest signs LOL... 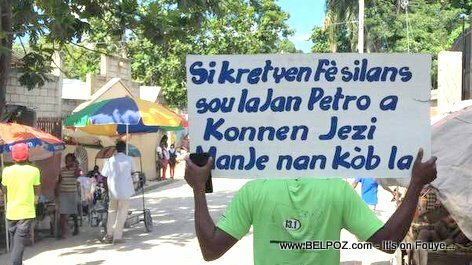 It says "If Haitian Christians keep their silence about the PetroCaribe money, know this, Jesus spent some of that money"